As with all of creation, Angels have their own voice, story and purpose. This collection is a window into their Divine realm, their relationship with us, and their connection with the earth. The themes and messages reflect a very small portion of the countless ways Angels touch our lives - through times of joy, sorrow, and human challenge. A Garden of Angels offers a clear-eyed view and gentle hand to help guide our daily journey. We only need to allow ourselves to be open …open enough to feel, to see, to listen. 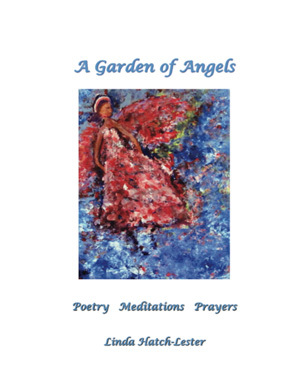 A Garden of Angels is a collection of poetry and prose, featuring over 30 original Angel renderings in full color … It is a work of art and beautiful keepsake. 50% of the net profits from A Garden of Angels are designated for the Luken T. Boyle Campaign for Kindness. The mission of Luken’s Campaign is to raise awareness about cyber-bullying, the epidemic of teen suicide and a platform for building on the alternative to bullying: Kindness.